This all-in-one package delivers malware protection and more. 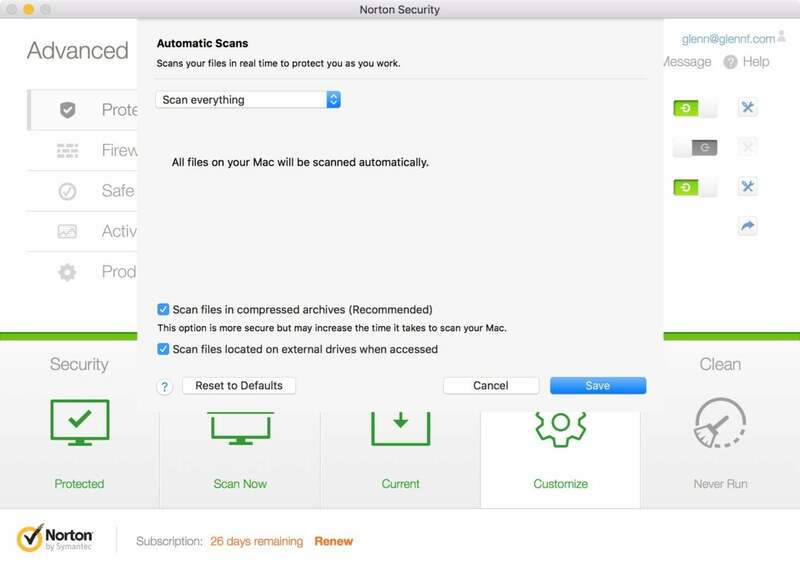 Norton Security Deluxe offers malware protection and a lot more. While it’s not our top pick for fighting malware, this Deluxe edition is a good bargain for comprehensive antivirus and networking security. Beyond antivirus protection, it includes a highly configurable inbound and outbound network firewall, native browser plug-ins for Safari, Chrome, and Firefox, and a disk “cleaner” tool that removes duplicate and unneeded files. It also has a straightforward interface, making it easy to invoke actions, change the configuration, and see what’s happening at a glance. The app provides real-time protection and allows scans on demand of specific files. By default, it checks the startup drive connected to the Mac and examines all files, including compressed archives. You can specify external drives to scan as well, but any file accessed from an external drive gets checked before it’s opened or launched. Norton Security Deluxe offers automatic real-time protection and the ability to scan files manually. 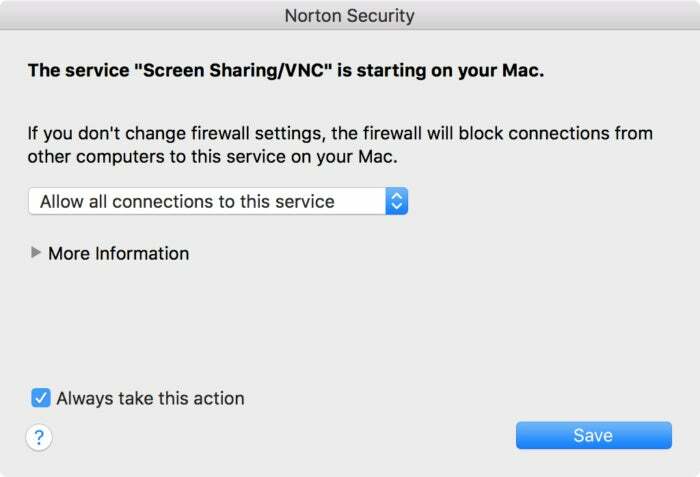 In AV-TEST’s evaluation, Norton scored 100 percent against macOS malware and over 99 percent against macOS PUA. However, it surprisingly only caught 70 percent of Windows malware. I confirmed this problem by downloading malware via WICAR: The software recognized and blocked some well-known Windows viruses, but allowed others to load in the browser without a warning. That detection rate is too low, especially given the higher performance of Norton’s PC software. This software suite includes an extremely sophisticated firewall, as well as password-management app. The firewall includes a lengthy set of definitions for network-based attacks, allowing the software to recognize patterns and block addresses engaging in that behavior. It also keeps an up-to-date list of malicious IP addresses to block new incoming attacks. Users with the know-how to customize it or willingness to learn can dig very deeply to tailor restrictions on local and remote network access—but the firewall does operate just fine without any intervention. Norton Security Deluxe's firewall is extremely sophisticated. The Norton package tries to get you to download the company's free Identity Safe, a password-management app that's available to anyone without any purchase. However, even after declining to use it, it shows up as an option in the browser and, inexcusably, the Norton Security installer adds a browser extension, though it doesn’t activate it. I’d prefer to be able to decline this and have it go away. And Norton should absolutely not be installing even non-activated unrelated software extensions. Norton Security Deluxe is the most comprehensive security package we tested, but it lacks advanced monitoring of ransomware and fails to provide complete Windows malware identification—the latter of which should be a given. If you’re not concerned about ransomware and want an all-in-one suite, it’s the best option available.